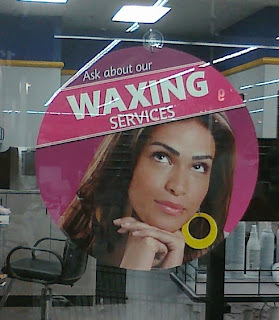 I saw this at a hair salon inside of a Walmart. The thing that gets me about this sign is that the image of the woman and the textual message don't really match. That is, unless the woman is feeling pensive over--or perhaps waxing nostalgic for--all of those wonderful times she's had this service.